Book a Tee Time and Save! The Traveling Golfer Video provides a network of websites that will host "The Traveling Golfer" video each month, along with a variety of television broadcasts. Together, these sites and TV stations will reach millions of households. Tony Leodora has spent more than 40 years in sports journalism and broadcasting. Over the past 20 years Leodora has developed his main business, TL Golf Services, a golf-specific public relations, marketing and event management company. It was the event management end of the business that grew the most -- running tournaments and fund-raisers, as well as managing the Inside Golf television show on NBC Sports Philadelphia and keeping his hand in writing as editor of the Philadelphia edition of GolfStyles magazine. 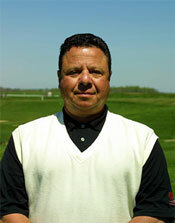 In 2007 he founded the GolfTalk Live radio show on WNTP 990-AM, and now on other affiliate stations. It can be heard from 7 to 8 a.m. every Saturday, or any time by going to www.golftalklive.net. The weekly interview style show became an immediate hit and was voted the No. 1 Golf Radio Show in America three times in five years by the International Network of Golf. Since 2004, the well-traveled Leodora takes viewers --through television and an internet network-- on golf trips to some of the most exciting golf locations across the country and around the world. The award-winning “The Traveling Golfer” show has twice been honored as the No. 1 Golf Television Show in America. "The number one question asked by golfers, as I make my way around the world of golf, always has to do with new and interesting golf courses and golf destinations," explains Leodora. "People are always looking for the next new challenge or the next scenic layout that will create a new golf memory. "I have been fortunate enough to play more than 810 different golf courses -- in 36 states and Puerto Rico, the U.S. Virgin Islands and 15 different countries. The allure of playing golf on the road never gets old. It is part of the intoxicating attraction of the game of golf. Our goal is to transfer a bit of that excitement to other golfers through these videos." The Traveling Golfer appears as a series of monthly shows on NBC Sports Philadelphia and NBC Sports+, hosted by Leodora, who has 20 years of experience in televised golf shows. The featured destination stays on the website for one month, before being replaced by a new show. In addition to being featured here on www.travelinggolfervideo.com, the video is hosted on a rapidly growing network of golf websites and other television channels. How to have "The Traveling Golfer"
Would you like "The Traveling Golfer" to visit your golf course/resort? "The Traveling Golfer," with host Tony Leodora will travel both near and far to bring viewers a look at some of the most spectacular golf destinations in the world! If you think your destination should be presented to EVERYONE -- "The Traveling Golfer" can visit your course or resort and create a professional show. The television show will run for an entire month on NBC Sports Philadelphia and NBC Sports+, reaching more than 10 million homes along the East Coast. Markets served include North Jersey, Greater Philadelphia, Mid-Atlantic and Pittsburgh. In addition, it airs every month as part of the Press Box television show on Ch. 4 in Myrtle Beach. Also, it airs on a network of websites, plus the Golf Director Network which reaches 5 million visitors across the U.S. and in 135 foreign countries. Finally, the show is archived on "The Traveling Golfer" website, TravelingGolferVideo.com and it is archived on YouTube.